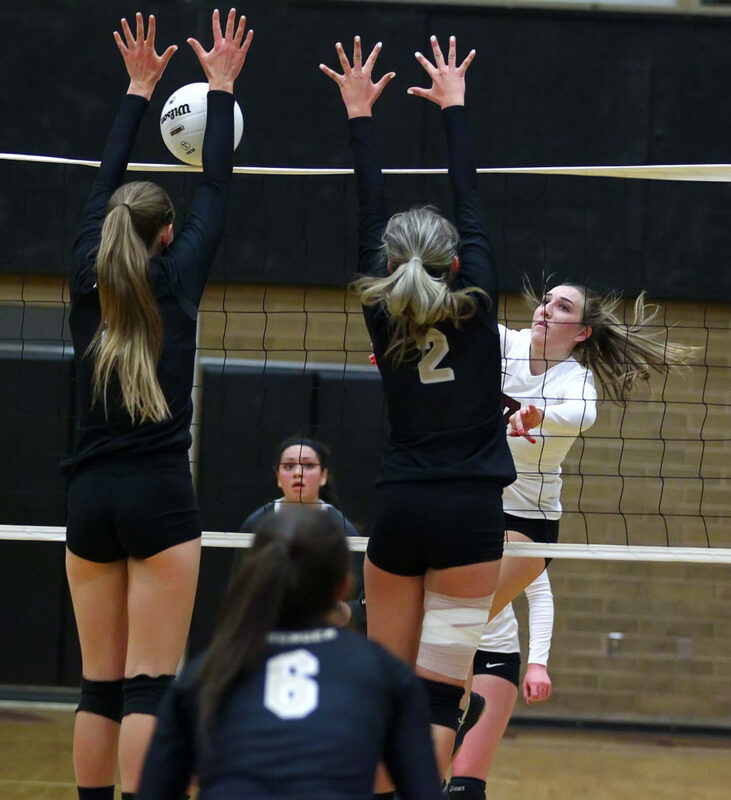 ST. GEORGE – Tuesday night, Region 9’s most potent attack offense went up against its scrappiest defense. 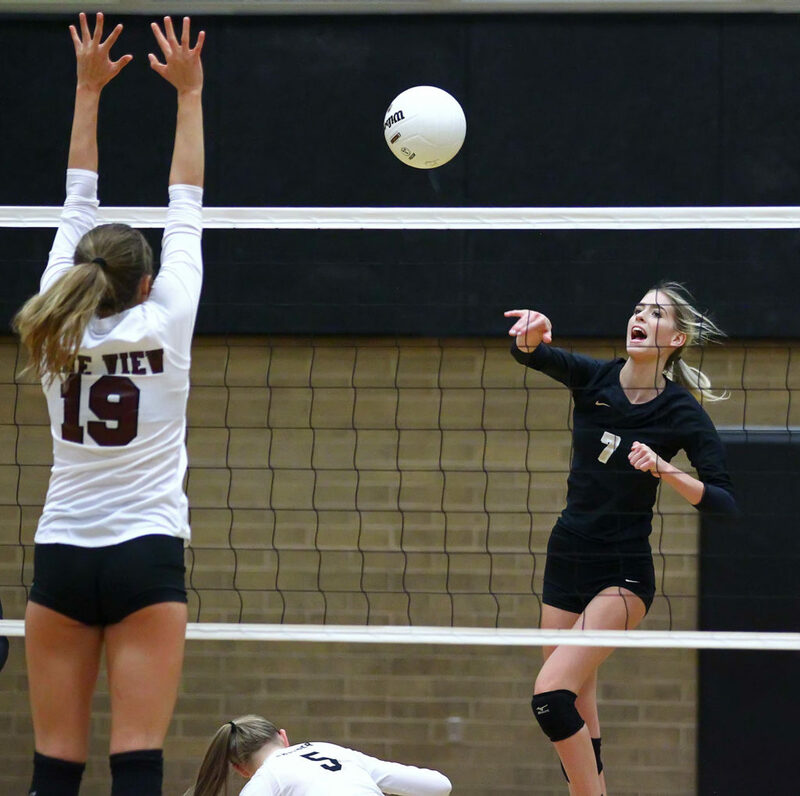 On this night it was the offense of Desert Hills that prevailed in straight sets over Pine View in an excellent night of volleyball. 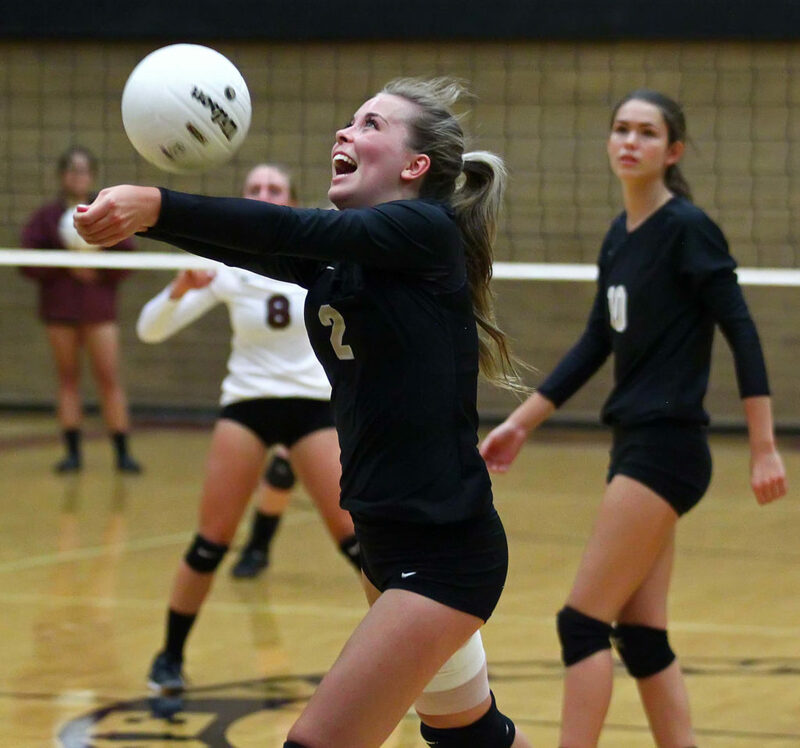 And even though the match was decided in straight sets, Desert Hills had to work very hard for its victory with set scores of 31-29, 25-12, 26-24. Neither team could gain more than a 2-3 point advantage for most of the first set. 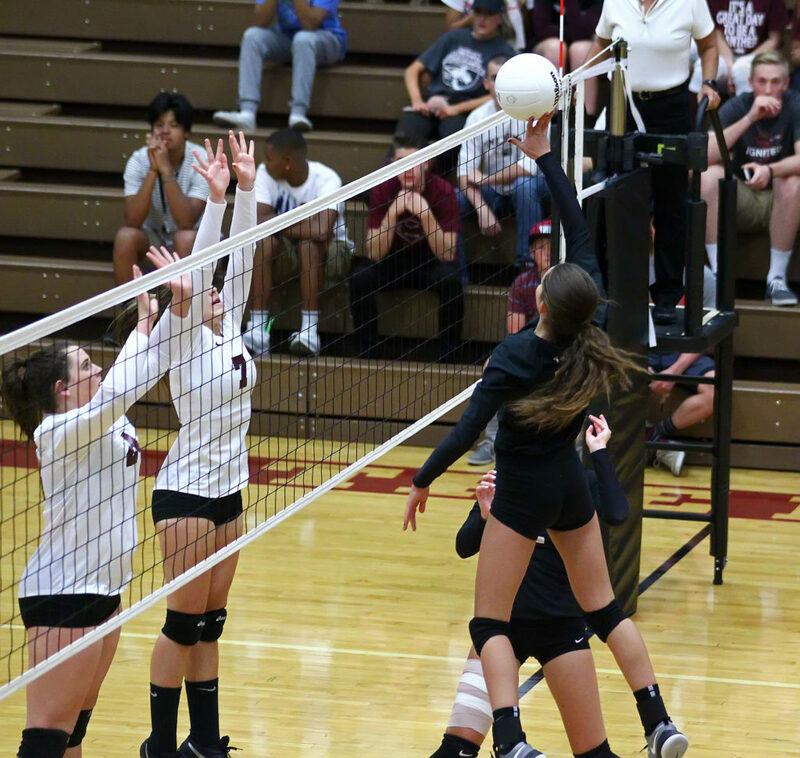 At the end of the set, it came down to the team that made the least errors that came out on top, as service and attack errors led to five of the last eight points scored. 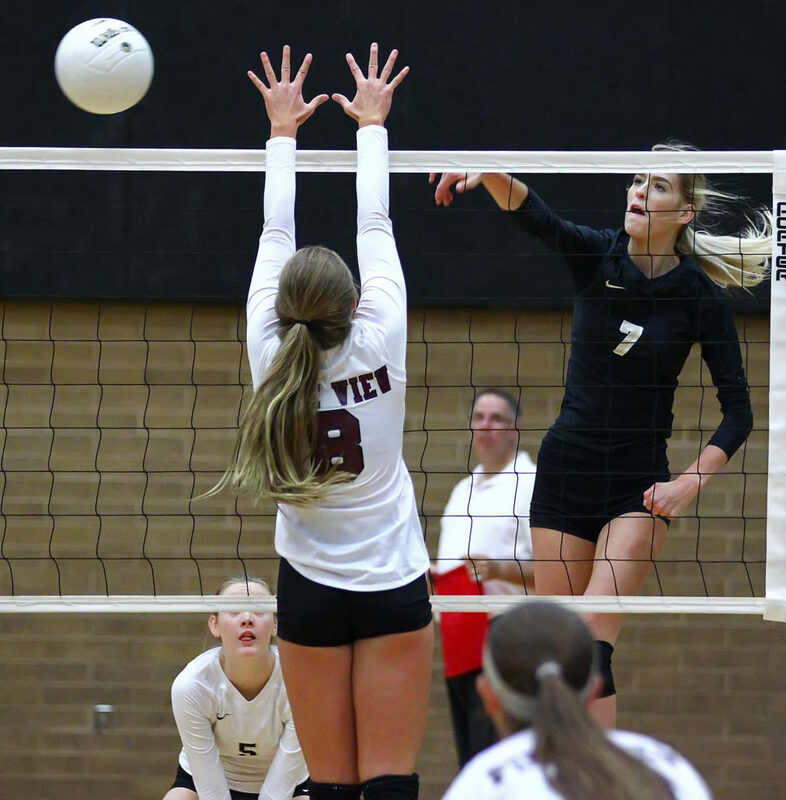 In the second set, the loss appeared to have deflated Pine View as Desert Hills stormed out to leads of 7-1 and 11-2 before the Panthers began matching their opponent’s production. 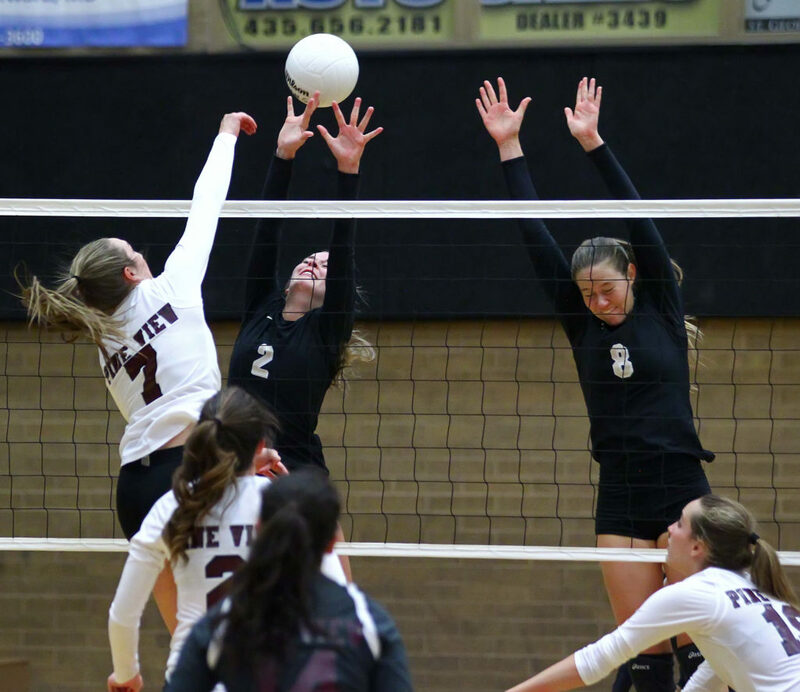 Pine View matched its earlier tenacity in the final set. 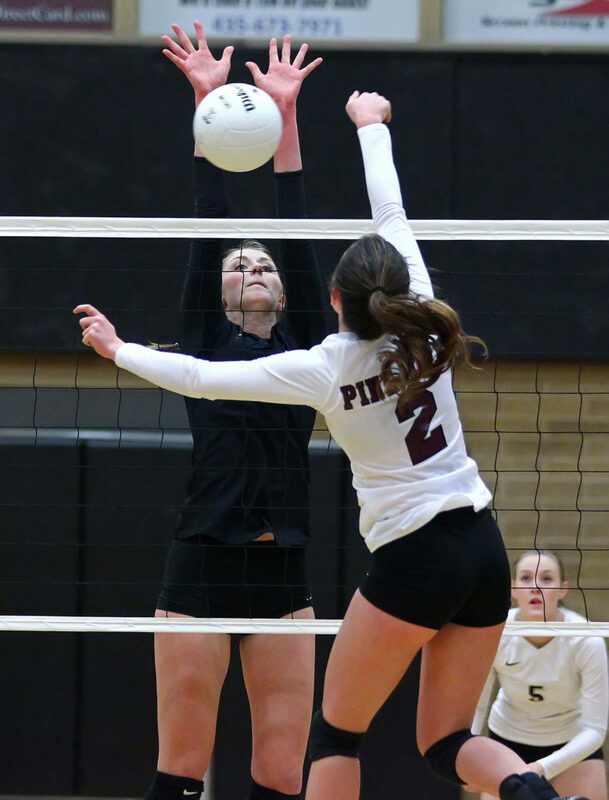 Whether it was Aubrey Hendrickson and Emily Lanter up for the block, Kiara Rivas digging the kill shots or Cassidy Murdock chasing down errant passes, the Panther D was all over the place. Again, both teams struggled with service errors. 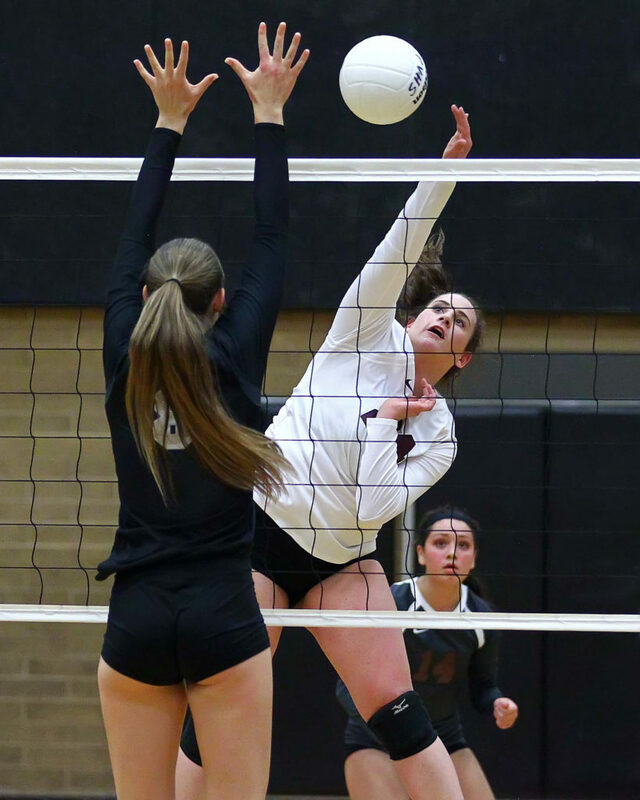 But Harmer’s sets to her outside hitters were on target. 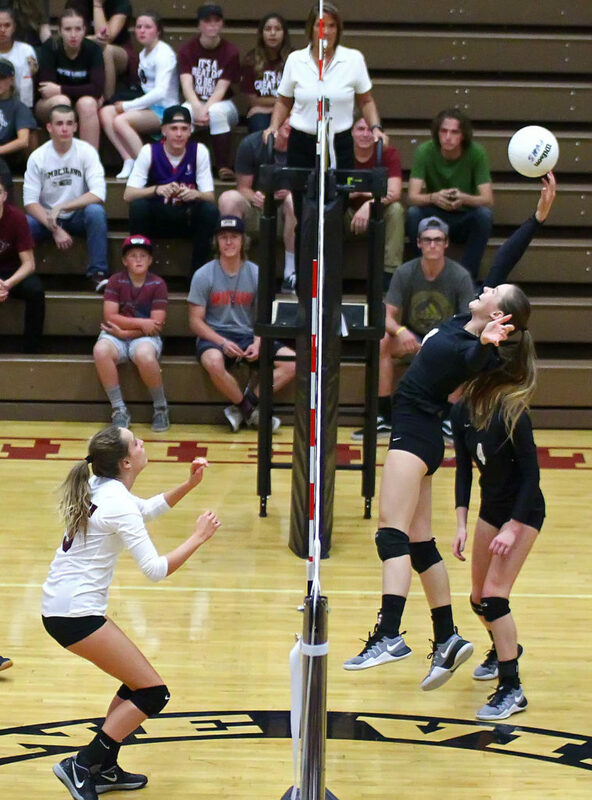 Desert Hills shot a .211 percentage at the net. 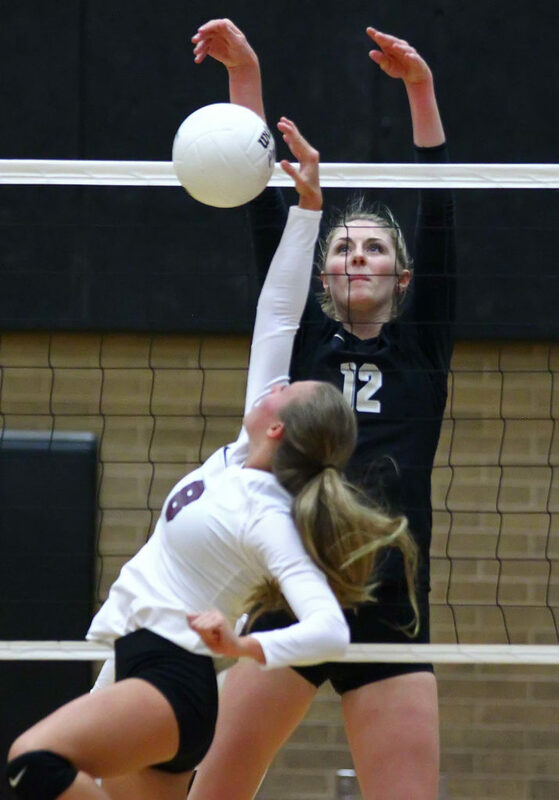 Desert Hills’ twin towers of Bradley and Winters led the Thunder with 19 and 17 kills, respectively. Harmer had 35 assists. 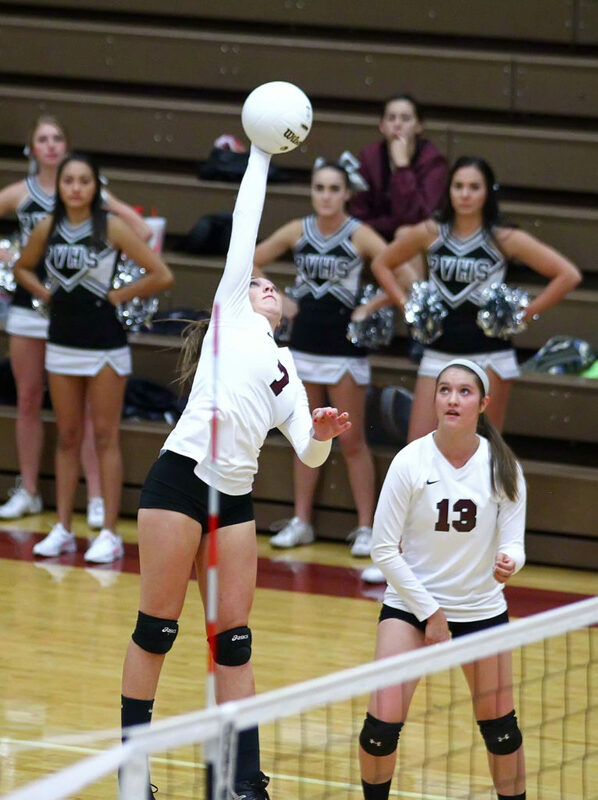 Winters also led the team with 22 digs. Madison Clark and Saselah Goulding led the team with four blocks apiece. 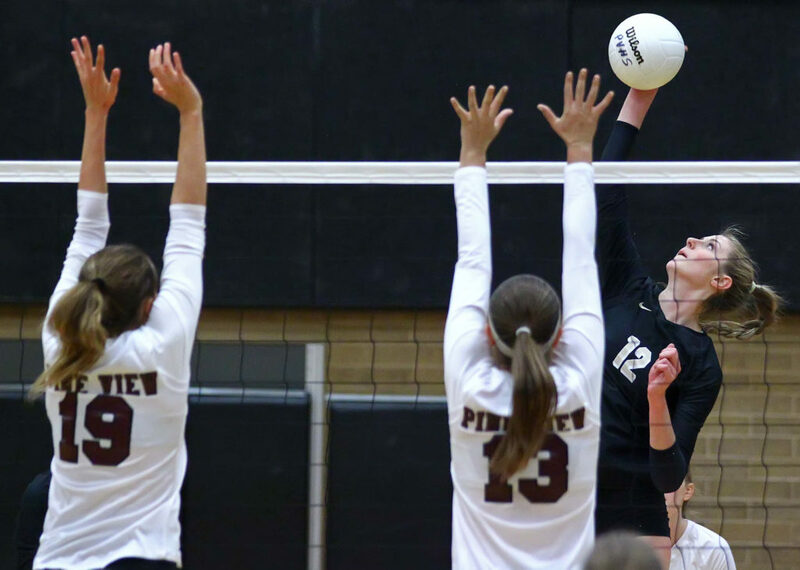 For Pine View, Hendrickson led the team with 13 kills. Rivas led the team with 14 digs. Goebel had seven blocks. Murdock led the team with 25 assists. 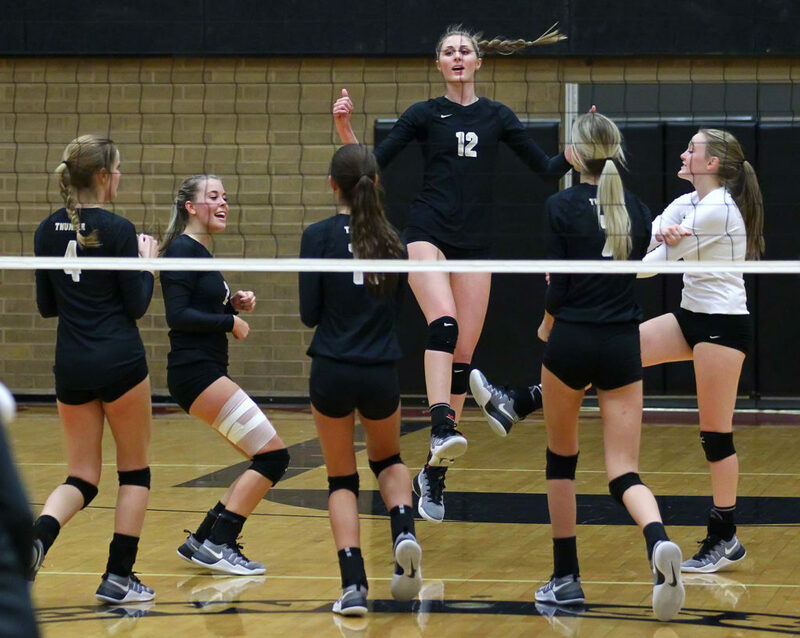 Desert Hills moves to 16-7 overall and 4-0 in Region 9. 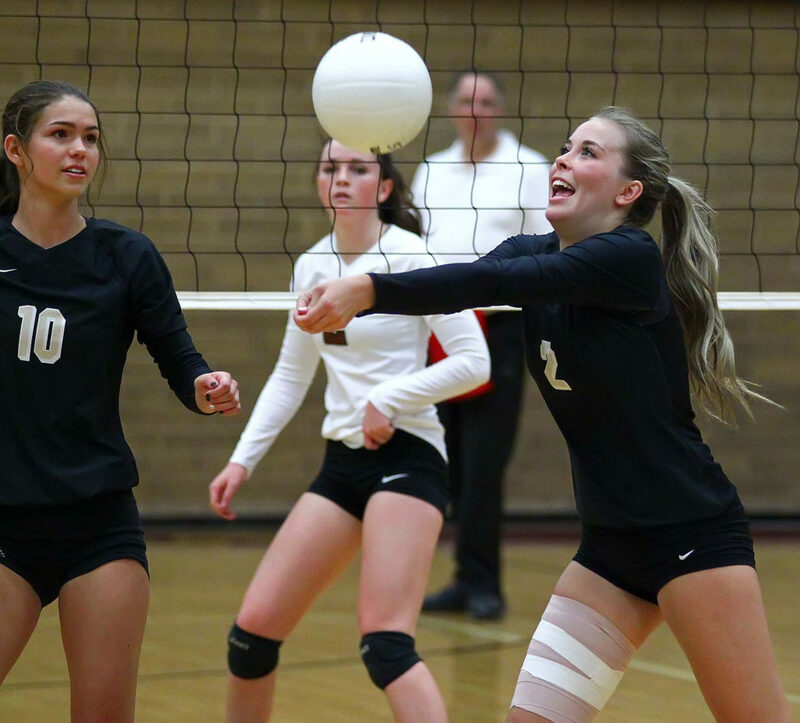 The Thunder will host Snow Canyon on Thursday night. 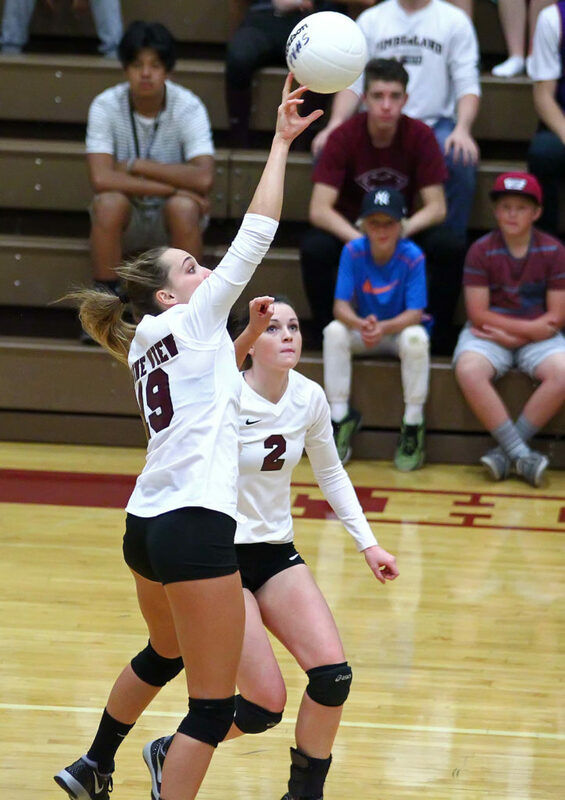 The Lady Panthers fell to 15-8 and 3-1 in the region. They will host Cedar on Thursday. 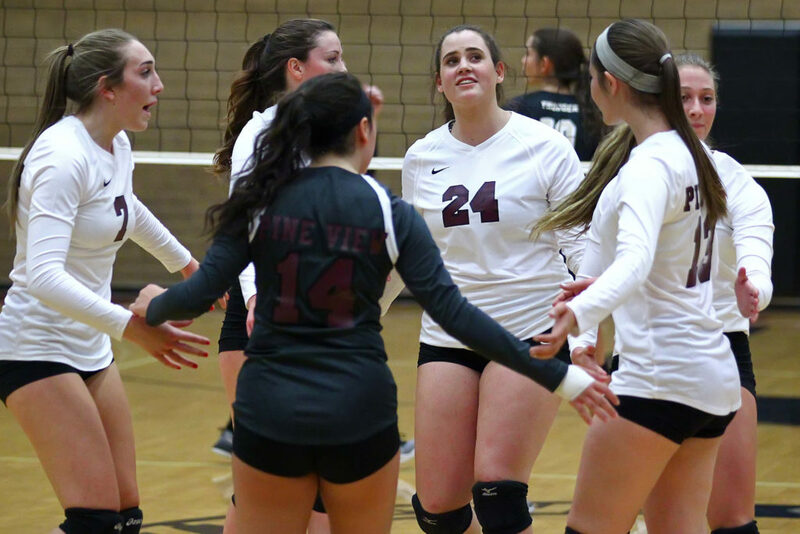 The Lady Flyers bounced back from last week’s loss with a win over Snow Canyon 18-25, 25-11, 25-15, 25-16. For Dixie, Tyler Stilson led with 23 kills. 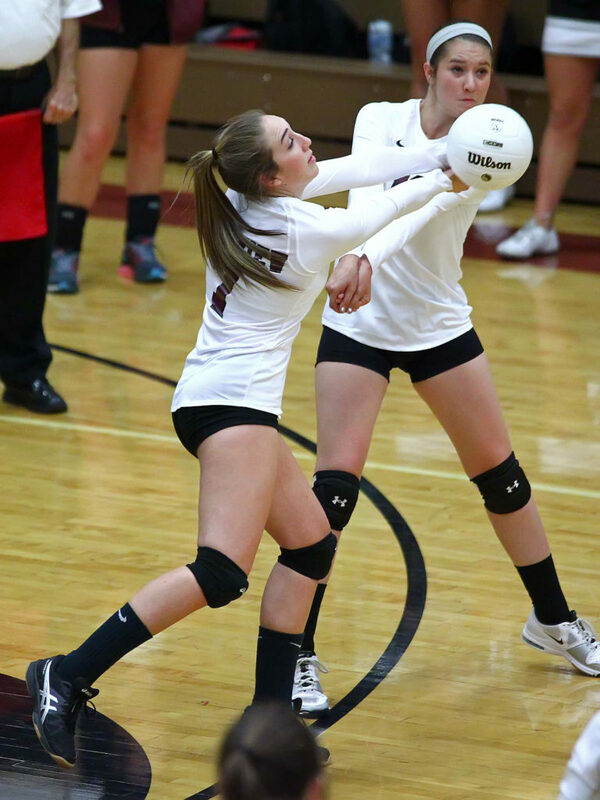 Aspen Bair recorded 17 digs and Brooklyn Wright dished out 39 assists. For Snow Canyon, Sammi Johnston led the team with nine kills and 11 digs. Camryn Johnson led with 20 assists. 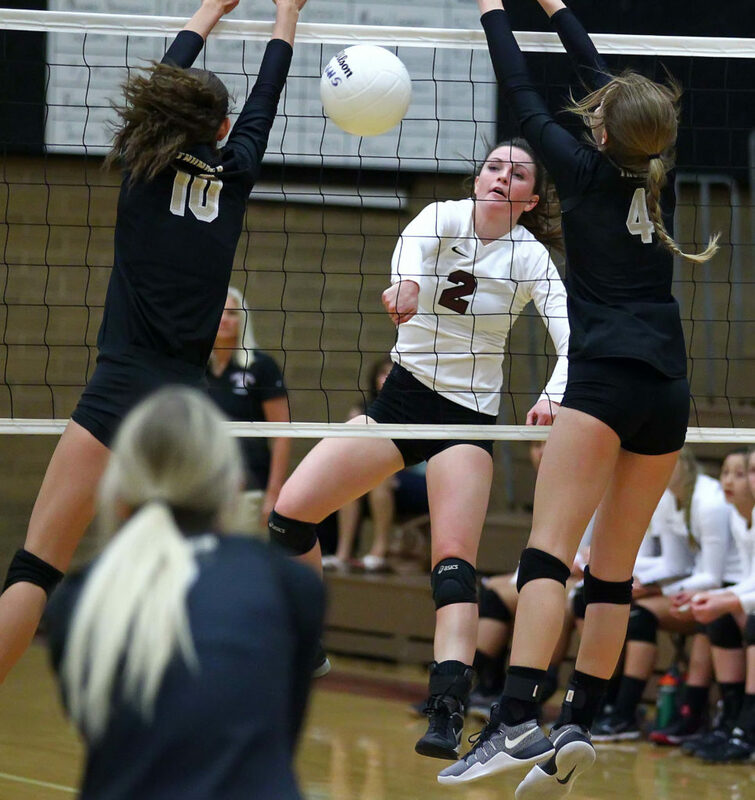 “We had great service in the first set,” said Snow Canyon head coach Ryan Rarick. “We had errant passing most of the night though and that is what hurt us. It was one of those nights where not much went right. A bright spot was Ina Fakahua. She had four kills on only four attacks and also delivered four service aces. Dixie moves to 8-5 overall and 2-2 in the region. The Lady Flyers will travel to Hurricane on Thursday. Snow Canyon dropped to 4-10 overall and 2-2 in Region 9. 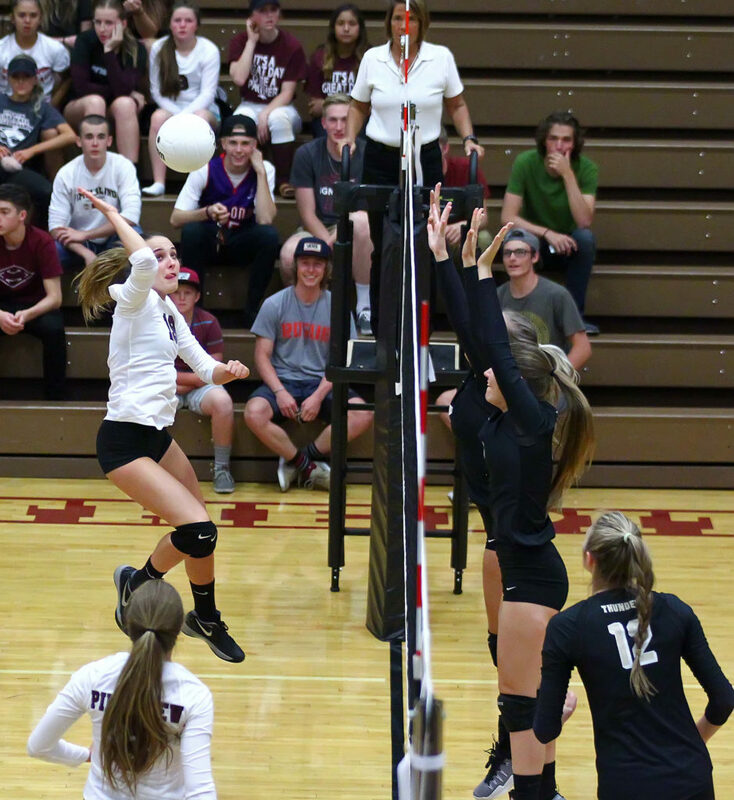 The Warriors will travel to Desert Hills on Thursday. 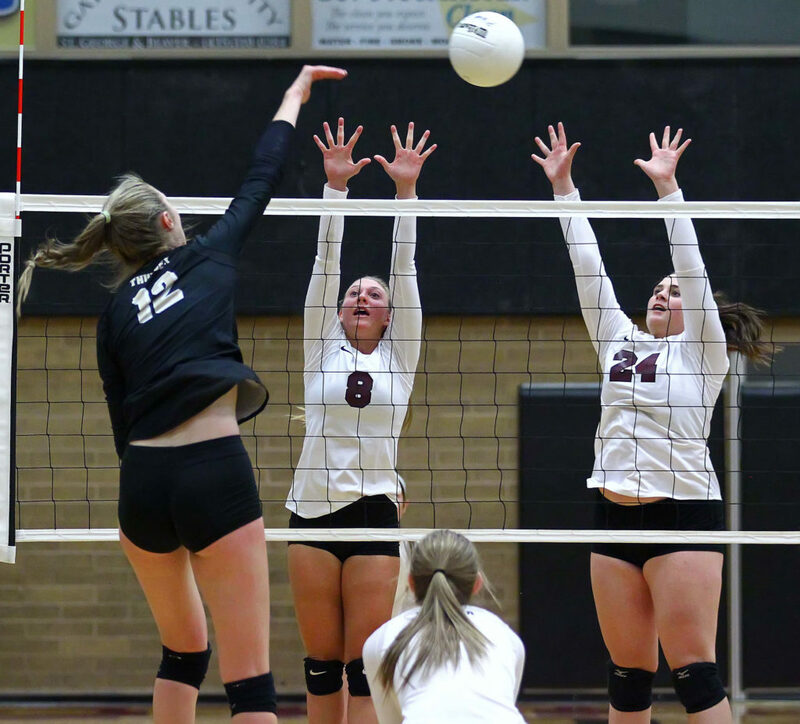 After dropping the first two sets, the Lady Reds rebounded and pulled out a match victory by winning the last three sets, 22-25, 23-25, 25-17, 25-20, 15-11. For Cedar, Armstrong and Beatty led with 13 and 11 kills. 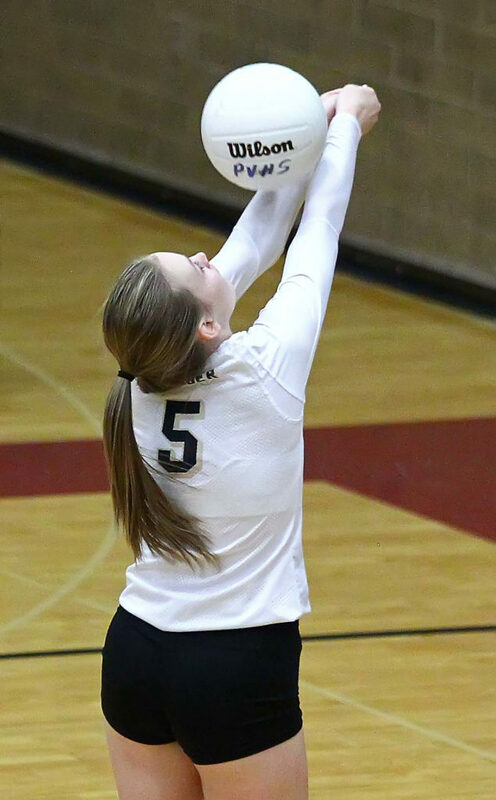 Kylee Field led the team with 32 assists. Dreaam Weaver had a team-high 19 digs. 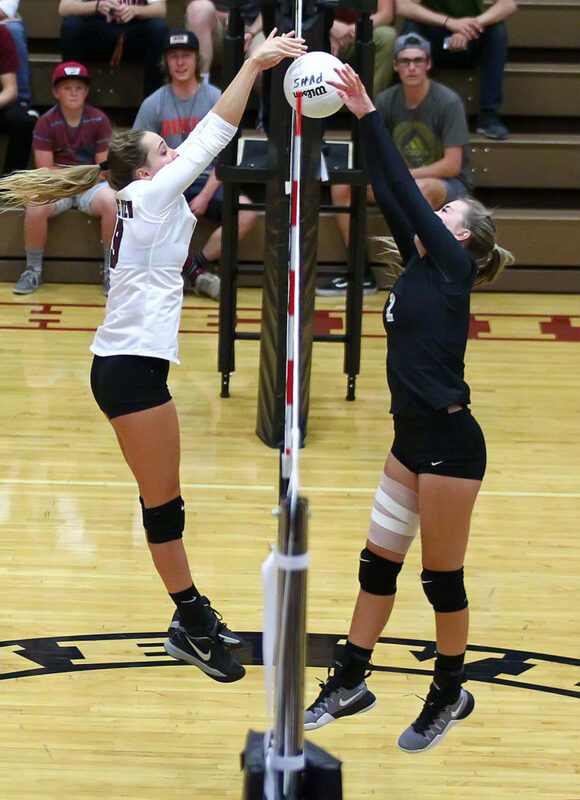 Field and Bauman also recorded double-digit digs with 14 and 10, respectively. For Hurricane, Kansas Lytle led the team with 10 kills. 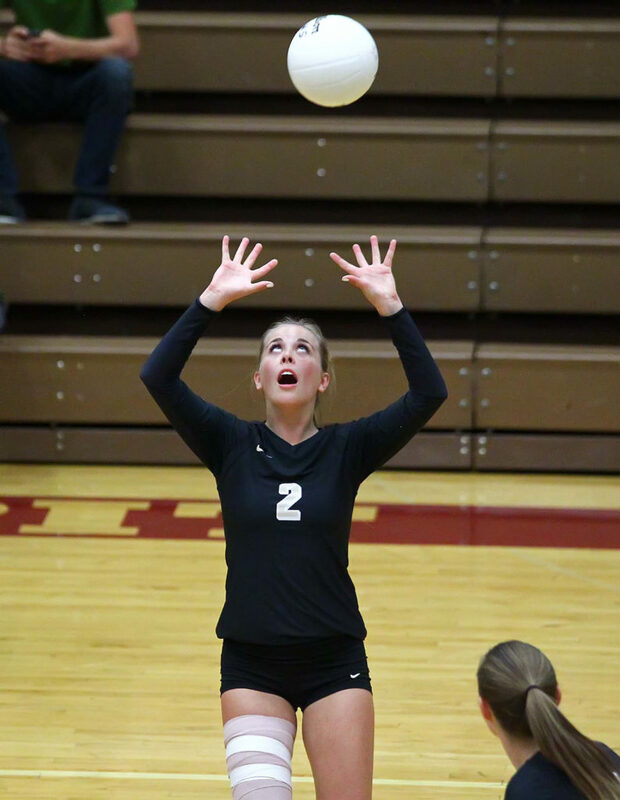 Hailey Homer dishec out 30 assists. 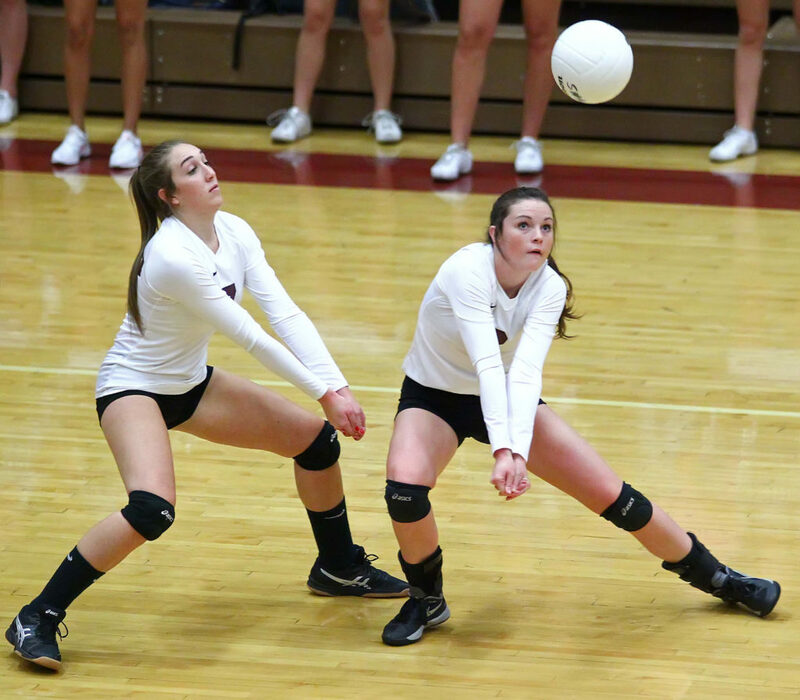 Hollie Isom and Sierra Davis had six and 5 service aces, respectively. Cedar improves to 8-6 overall and 1-3 in the region while Hurricane drops to 2-10 overall and 0-4 in region. The Lady Reds will travel to Pine View on Thursday while the Lady Tigers will host Dixie.